“…Finely honed voices and stimulating concerts of music you have never heard of but want to hear again…” The Prickle, Smart Arts Reviews 2015″. 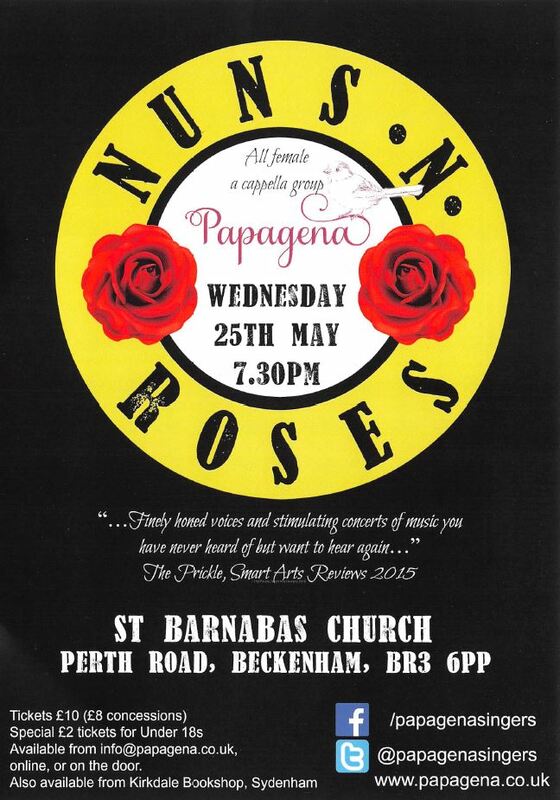 St Barnabas is delighted to welcome Papagena for their debut performance at St. Barnabas. Papagena, an all female cappella group, draw richly on traditional sources, juxtaposing with more classical repertoire from Kassia and Hildegard of Bingen to Katy Perry and Imogen Heap. Members of Papagena have all performed with some of the UK’s leading vocal groups including The Sixteen, Tenebrae, Ex Cathedra and The BBC Singers and share a passion for bringing a wider range of music from around the world to your doorstep. 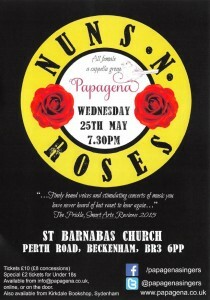 We are thrilled Papagena have chosen St. Barnabas as their venue for this special evening of hand picked music for you. We look forward to welcoming you.